Neil Wood’s head-turning International Lonestar is a rare treat on the road. 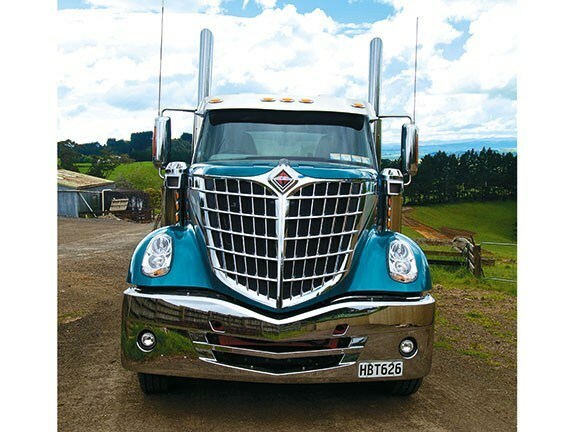 A rare International Lonestar tractor unit, featuring the unique sloping retro-styled grille and chrome detailing particular to the American brand, has found its way onto the highways of Greater Auckland. "My wife thought it was awesome and shiny, so we bought it. I simply can't believe the reactions to this truck out on the road," laughs new owner, Bombay contractor Neil Wood of N&J Wood Limited. "I've had people yelling and waving out car windows, taking photos on their phones. One afternoon I got home to find a guy sitting on a lawn chair outside the house, just staring at it!" 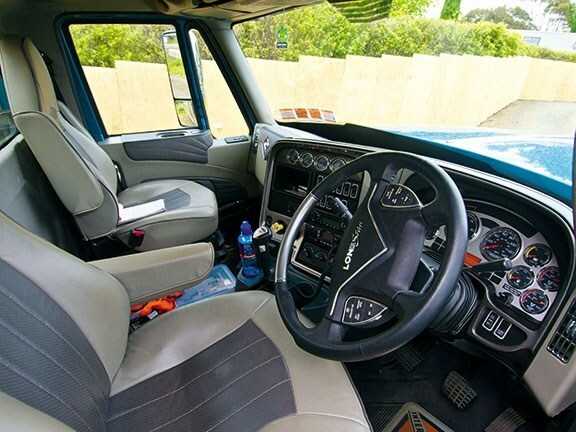 The configuration Wood has purchased — a standard day-cab setup — is actually the entry model in the Navistar range, although you could be forgiven for thinking he has already spent a large amount of money on optional extras. "Believe it or not, this is totally stock. The idea is that owners can 'bling' their truck up from here. 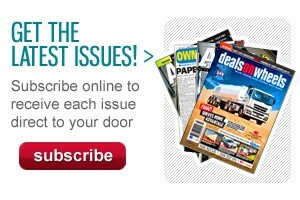 There are a large variety of different grille designs to choose from at a factory level," says Wood. Running a 13-litre MaxxForce six-cylinder turbo diesel pushing out 500hp (373kW) and 2300Nm of torque, the Lonestar — at this stage the only known example in Australasia — was imported by Intertruck Distributors in Mount Maunganui, which also completed the left-hand drive to right-hand drive conversion work. 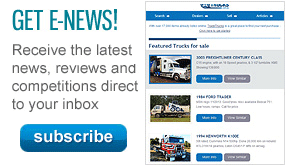 "I didn't actually see the cab before the right-hand drive conversion work took place, but I have it on good authority from a couple of people who've seen the trucks in the US that the conversion work has improved the dashboard ergonomics. That's a good result for the team at Intertruck, as I know the conversion was a very involved affair, being the first one they've completed." 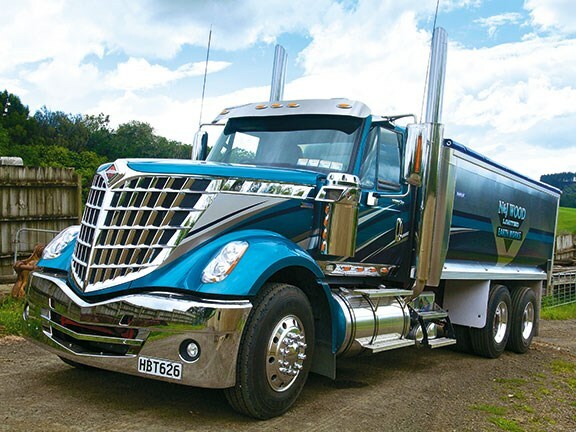 The Lonestar is set to continue its eye-catching runs around the Auckland region as a tipper unit (with an aluminium bin fabricated by Transfleet Equipment), completing cartage work for N&J Wood Limited, as well as for a number of external clients including Allied Quarries.